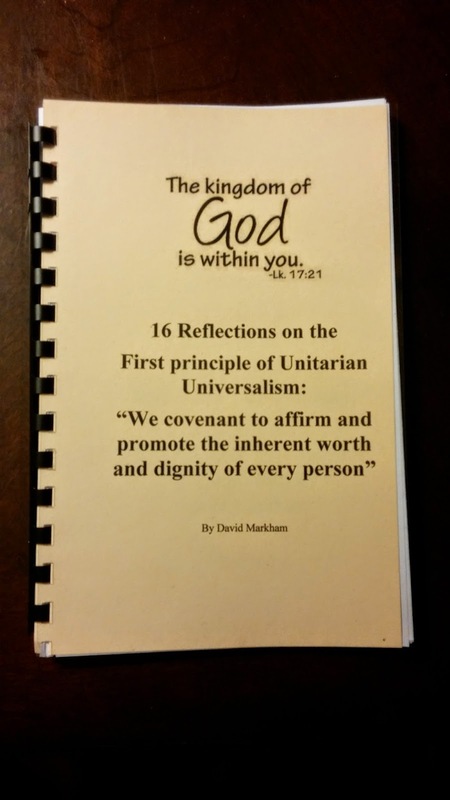 There is a limited number of handmade copies of "16 reflections on the first principle of Unitarian Universalism" available. Many of these reflections appeared on the UU A Way of Life blog during the month of June 2014. This special edition includes introductions to each reflection, and questions for consideration and discussion following each reflection. This little book can be used for personal study and reflection or with a group. If you would like a hard copy, send me your name and address to davidgmarkham@gmail.com. If you would like a PDF file of the same little book, I can send it to you by return email as an attachment.